WORST DAY OF THE YEAR RIDE | Portland February 10 Lucky Labrador Brew Pub Every year, Portlanders get a fresh start on the cycling season not by hopping on trailers, not by suffering through intervals, and not by counting calories. 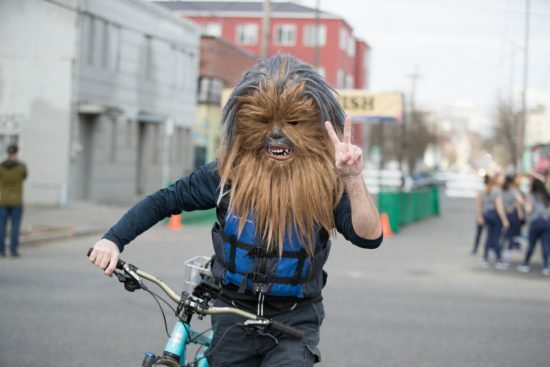 They do it the Portland way: on a bike, in costume. 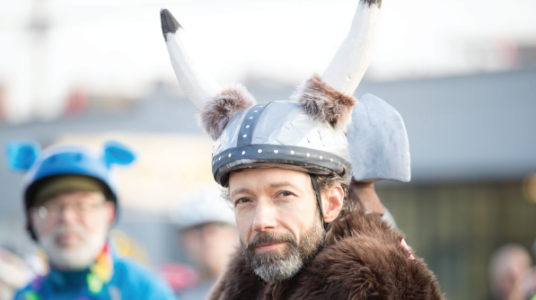 The Worst Day of the Year Ride is an annual tradition that pit cyclists against the elements and the cyclists always win. Always. This fun day is a hilariously good time on two wheels, complete with a hot soup finish line party and tasty rest stops all along the route. To fit in, all you need to do it show up in a costume. The wilder, the better. Here are our Top 10 favorite costume ideas, from years past. Whether you call him the Abominable Snowman, Yeti or Bigfoot, this hairy fella is always one that gets the laughs. Bonus: You can talk people into getting their picture taken with you. “I found him!” If you like a costume that encourages people to point at you, this is the perfect one! Simply don a red and white striped shirt and some dark rimmed glasses, and everyone will know who you are. Bonus points for a red stocking cap on top of your helmet – that’s what really seals the deal. One year, I found myself riding behind a strong rider. He’s usually a Boulder mountain biker but he found himself in Portland and joined in on the ride. As a visitor, he was at the mercy of his hosts to find him a costume, so they tossed a tutu his way, and he wore it all day long. Riding behind this powerful riders, I watched as he climbed up Old Germantown Road (part of the gorgeous Challenge Route), letting his tutu bounce along the way. This was not at all a look he had every before rocked, but he seemed perfectly at ease to fly the tutu as he coasted effortlessly up the hill (the climb is not so effortless for most of us, especially early in the season). 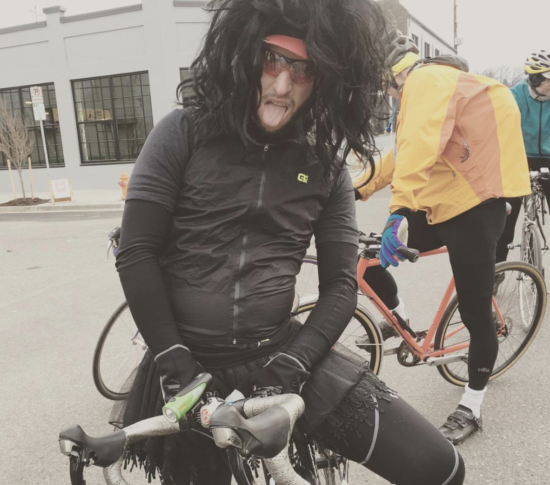 There was a kind of joy and vibrancy in that tutu that is unmistakable, and that’s what the Worst Day of the Year Ride is all about. No matter what the theme, group costumes are always a hit. 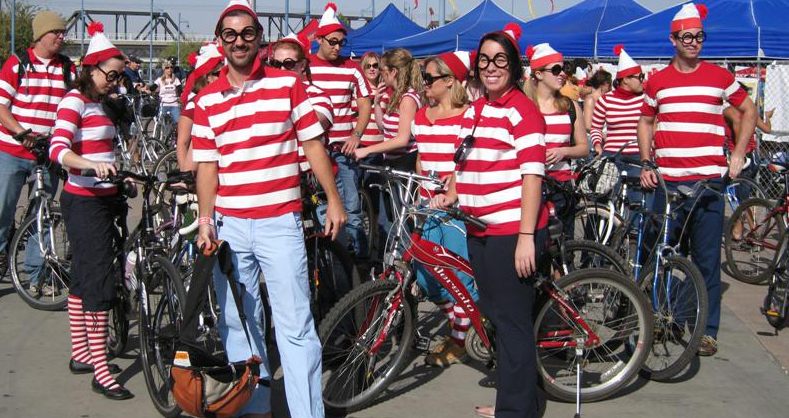 Though they can take a little more effort to coordinate, nothing says “We Love Bikes” like a unified troup of buzzing bees, Team Zisou from Life Aquatic, a simple band of ghosts or the cast from your favorite show. Bonus: It’s like being in a club for the day, and the photos are priceless. Let’s face it: winter in our region is dreary and challenging. There just isn’t enough sunshine and color, so why not create some for the day? 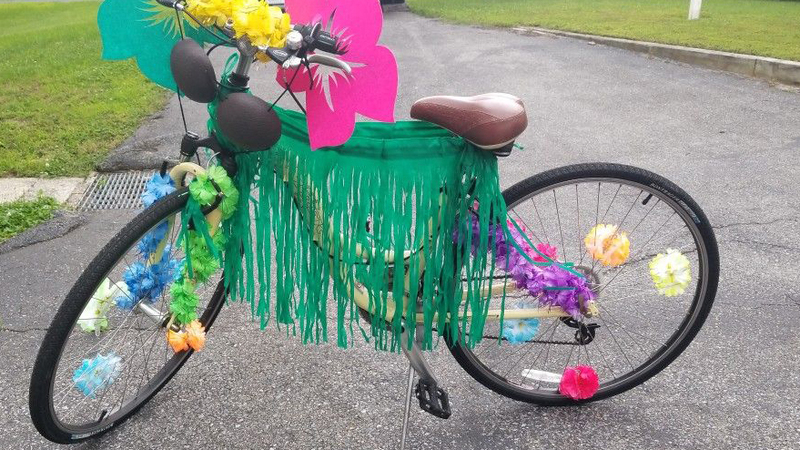 Brighten up the street if Portland and make people smile with your luau finest. Maybe you slip on a Hawaiian shirt, a lei or a grass skirt. If your bold, rock a coconut bra – that’s always good for some laughs. Bonus: You can probably easily find everything need for this look at the Goodwill.